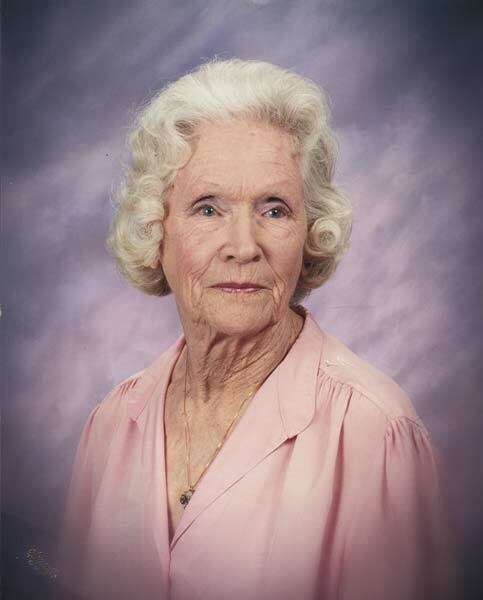 Marjorie May (Jones) Mehus, affectionately known as Mikki most of her life, passed away April 30, 2018, at the age of 102. Mikki was born March 26, 1916, in Wilkes-Barre, Pennsylvania, to Harry and Rose Jones. The family moved west in 1922, eventually settling in Bellingham. She attended local schools, including Whatcom High School, but was forced to leave due to the Depression, joining the workforce at Pacific Coast Paper Mill. On July 10, 1941, Mikki married Russell Mehus in Kodiak, Alaska, where he was working as a civilian contractor at the Navy Base. At the onset of WWII she was sent home to await his return. They set up housekeeping in North Bellingham, then moved to the Fairhaven/Happy Valley area in 1956. In 1973 they retired to Winthrop, in the beautiful Methow Valley, where she remained until 2013, ultimately moving to Lynden to be near more family. Mikki was a homemaker most of her married life and raised four children. She was active in church wherever she lived as Sunday School teacher, in positions of leadership, and always, always as a member of the choir. She extended her love of music as a member of the Bellingham Sweet Adelines for many years. She also loved to garden so subsequently, her yards always boasted the most beautiful plantings and flower beds in the neighborhood. She mowed her own lawn until the age of 95 and puttered and weeded for several years more. She also read every book she could get her hands on until her eyesight failed. Mikki was preceded in death by her husband, E. Russell, in 1994; brothers Glen and Trev Jones; sisters Lilliann Barrett and Dorothy Pace; infant son Gary; and daughter Judy (Joseph) Gregg. She is survived by sister Phyllis Orrico, son Michael (Lois), daughters Wendy (Jim) Kenoyer and Janet (Rick McCauley) Mehus, eight grandchildren, 13 great-grandchildren, and one great-great-grandchild. Special thanks for four-and-a-half years of loving care go to Lannea Riggs, Stephanie Everidge and Elizabeth Solar, and to the staff at Christian Health Care Center in her final days. A celebration of life will be held Saturday, May 19, 2018, at 1 p.m., at the United Church of Ferndale, 2034 Washington St., Ferndale.